Very impressed with the quality and workmanship of the chairs. Excellent value, matched our kitchen table beautifully. Thank you so much for such a solid attractively designed chair. I bought these Lexington Collection chairs from Atlantic Furniture for my daughter because she saw my chairs and loved them. Love that they had no setup required. They are great for my kids. The color is perfect!! A welcome addition to my home. I am very happy with the quality of my new chairs from Atlantic Furniture. They are exactly as the picture shows and look very nice in my home. 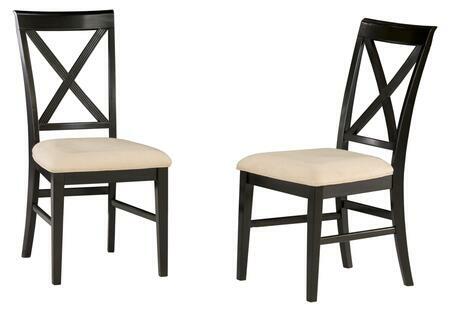 Lexington Collection chairs came with very clear assembly instructions and were very easy to assemble. After reading the reviews and scouring the internet for chairs for my new dining room table. We bought these and absolutely love the way they look with our dining table; the wood matches almost flawlessly.